13th place in the MXGP. 1th place Italian championship MX1. 16th place in the MXGP. 1th place Italian championship MX1. 20th place in the MXGP. 1th place Italian championship MX1. 22th place in the MXGP. 1th place Italian championship MX1. 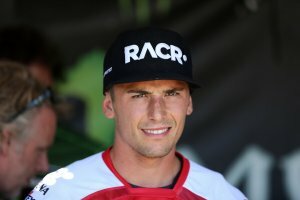 33th place in the MXGP. 1th place Italian championship MX1. 8th place in the MX2. First GP raced in 2007, GP of Spain. First world title in 2006, Junior 85cc.